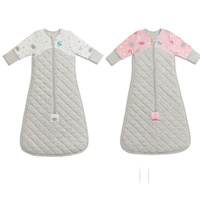 New 2019 RangeWoolbabe Wool Baby and Toddler Three Seasons Sleeping Bag - Front Zip Style. 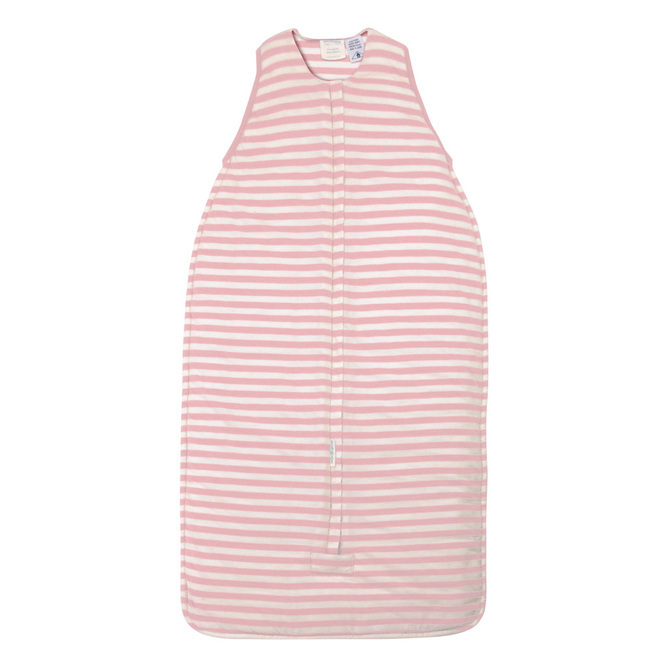 Super-versatile sleeping bag - designed for room temperatures of 18-28 degrees! Available in three sizes - 3-24 months, 2-4 years, and also 3-6 years in Pebble! 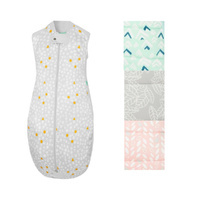 The Woolbabe Three Seasons sleeping bag must be the most versatile sleeping bag available! It can be used from 18 to 28 degrees by varying the clothing inside the bag. 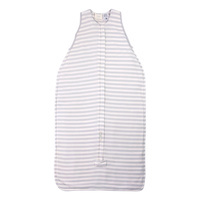 Ideal for day sleeps year round, and night from spring through to autumn. It’s the only bag in the world which uses a quilted wool filling for additional warmth and temperature regulation, as most winter bags are filled with a synthetic polyester or cotton wadding. The bag is filled with a snug layer of 100% Australian wool filling, which gives amazing warmth and temperature regulating properties. 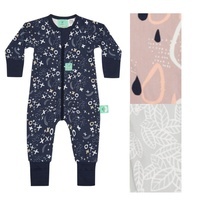 The Three Seasons Woolbabe is lined with a lovely 100% cotton lining, which is soft and smooth against your baby’s skin. This Woolbabe can be used in your carseat or pram with a 5-point harness. It has a double-ended zip on the front and a travel slot in the back of the bag. 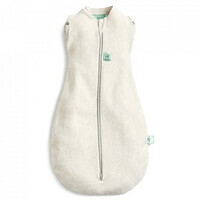 Woolbabe sleeping bags have been designed using the finest natural materials. 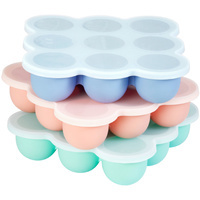 Tried and tested Woolbabe products are a must-have in all nurseries. 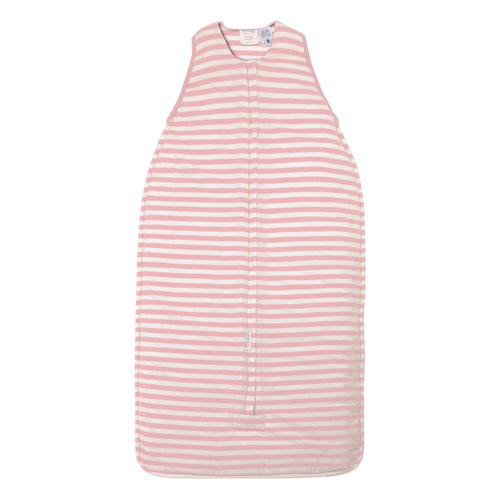 A three season sleeping bag for babies or toddlers, designed for temperatures from 18-30 degrees. Category 1 - Low fire danger. 100% Australian wool, lined in 100% cotton with a merino wool/cotton outer. 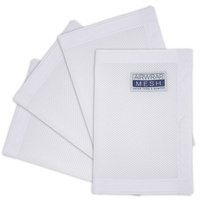 All natural fibres prevent sweating and allow baby to have a better nights sleep. Outer fabric (yarn dyed stripe) 30% Australian merino/ 70% cotton.